NEW YORK CITY: Elderly Gay Widower Battles Partner's Family For Ownership Of West Village Brownstone - Joe.My.God. 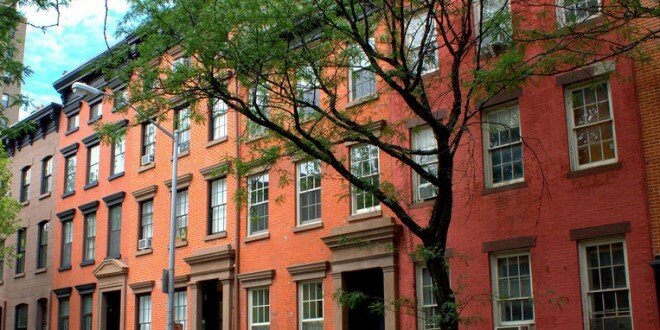 Bill Cornwell and Tom Doyle lived in a brownstone in the West Village for over five decades. They were artists, neighborhood fixtures and committed partners. Their enduring love never seemed to them to need codification — not to mention that for most of their relationship, gay marriage was illegal. Mr. Cornwell died two years ago at age 88. Now, his will, in which he bequeathed the small apartment building to Mr. Doyle, is in dispute, leaving his partner with no clear claim to his home of 55 years. The property, on Horatio Street, is an extremely valuable asset, and several of Mr. Cornwell’s nieces and nephews have claimed it as their inheritance, rejecting the notion that their uncle wanted it to go to Mr. Doyle. They put the building up for sale, and it is now under contract — for over $7 million. “I’m not so concerned about the money, I’m more concerned about a roof over my head for the rest of my life, and I wouldn’t have to be in a nursing home,” Mr. Doyle, 85, said, as he sat outside the cluttered one-bedroom apartment he shared with Mr. Cornwell. “As long as I am here, I have all the familiar surroundings. It’s almost as if Bill is still here.” The dispute has now shifted to court. The case may hinge on New York having abolished its recognition of common law marriages. Hit the link for much more.